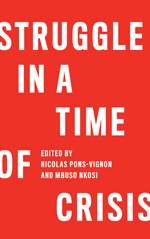 Creating decent new jobs, fighting poverty and curbing catastrophic climate change have historically been seen as three distinctive challenges, pursued by a trio of different movements: trade unions, development organizations and environmentalists. This should no longer be the case. In the past few years, as climate change has become ever more of a pressing issue and the international financial institutions have once again proved incapable of creating employment or fighting poverty, people and organizations have realized that it is in our collective interest as citizens of the world to pursue a green industrial policy. This should start with a re-evaluation of the way we produce and distribute energy. Greenpeace's Energy [R]evolution, developed in conjunction with over 30 scientists and engineers worldwide, proposes a radical shift in the way the world produces, distributes, and ultimately consumes energy. It is a roadmap for moving energy production closer to the point of use. Under the current system, we produce large amounts of energy at a few centralised locations and send that energy over very long distances to where it is consumed. This system is inflexible, often wasteful, and leaves large swathes of the world’s population unserved and without access to any energy. In addition to being centralized geographically, energy production is also centralised in terms of influence with control lying in the hands of a few very powerful energy companies. All too often, these companies operate as monopolies, dictating availability, prices and access. Because energy corporations do not cater to the poor, about a third of the world's population (over 2 billion people) lives with little or no access to reliable energy services. For cooking and heating, many people must depend almost exclusively on burning biomass, a labour-intensive process often detrimental to health and a scourge for the environment. Bringing energy to these parts of the developing world would not only help us address the ongoing issue of poverty but, if done in the right way, we would also be a big step closer to a fairer and more sustainable future. Such a move would also help curb global warming and create millions of new jobs along the way. The good news is that an Energy [R]evolution is well within our grasp. If we make the right changes over the next ten years or so, we will be able to redesign the outmoded energy system we rely on in most parts of the world – and move to a future powered in most part by the sun, the wind and the natural forces of the Earth. This would create benefits not just for the environment, but for workers as well. The Energy (R)evolution calls for decentralized energy, which comes wherever possible from renewable sources such as wind or solar energy and is connected to a local distribution network system. This local “micro-grid” supplies homes and offices, rather than the high voltage transmission system. The scenario would see a huge proportion of global energy produced by such decentralized energy sources – supplemented, as needed, by large offshore wind farms, concentrating solar power (CSP) plants in the sunbelt regions of the world, and other renewable sources of energy by 2050. Creating a closer proximity of electricity-generating plants to consumers will allow any waste heat from combustion processes to be piped to nearby buildings, a system known as cogeneration or combined heat and power. This means that nearly all the input energy is finally put to use. The Energy [R]evolution is a win not just for the environment, but also for local people. Towns, villages and local communities will be empowered to produce, monitor and profit from their own energy thus by-passing major monopolies. Properly implemented, the Energy (R)evolution would also create millions of new jobs starting with the global power supply sector which could create up to 12.5 million jobs by 2015 (4.5 million more than the current projection). A significantly increased uptake of renewable energy would create over 8 million jobs by 2020 in that sector alone, four times more than today. The potential boost in employment can only occur with aggressive renewable energy policy and targets. Greenpeace calls for a range of measures from governments to safeguard against detrimental changes to the employment balance by providing jobs and retraining in communities affected by this transition. Doing nothing means we will see significant losses in employment in the fossil fuel sector, and there will not be an expansion in clean energy production to compensate. With renewable energy investment it is possible to provide more replacement jobs to counteract the losses, in areas like wind turbine and solar PV manufacturing, geothermal drilling, solar thermal plant constructions, wave energy installations, energy efficiency, and many other cleaner employment alternatives. If we look at the power sector as a whole, the picture is equally encouraging: if we radically redesign our energy systems as outlined above there will be 3.2 million (or over 33 percent) more jobs by 2030 in the global power supply sector. In Asia, we would see 650,000 power sector jobs by 2015, compared to 610,000 under a business-as-usual scenario. In India, we would see around 1 million power sector jobs – compared to 710,000 under a business-as-usual scenario. In addition to quantity, the quality of many of these new jobs is impressive. Employment in the sectors that would come to exist, or would considerably expand, through an Energy [R]evolution will often be of a much higher standard than those created by the oil industry for example. They will be a world away from the risks and dangers emanating from the 19th century technology so much of the world still relies on for its energy production. By shifting away from dirty, deadly energy sources such as fossil fuels and nuclear energy, we will create many new jobs that are clean, safe and healthy. For developing countries this presents a great opportunity to catch up both financially and technologically with the more developed world. By implementing new forms of energy, these countries could leapfrog the era of dirty energy that the world’s developed countries are just emerging from – and move straight to clean and sustainable energy thereby avoiding rising oil prices, dwindling fossil fuel reserves and the ongoing dangers that come with these types of energy. By embracing the technologies of the 21st century, they would not only be able to reduce their CO2 emissions drastically and play an important part in the global fight against climate change; they could also set themselves on a pathway of economic growth, decoupled from a dependence on fossil fuels and respecting the natural limits of the planet we all share. The timing couldn’t be better: many power plants in industrialized countries, such as the USA, Japan and the European Union, are nearing the end of their proposed life-span, with more than half of all operating power plants already over 20 years old. At the same time countries such as China, India and Brazil are looking to satisfy the growing energy demand created by their expanding economies. But the Energy [R]evolution won’t happen by itself. We need governments and industry around the world to implement the right policies to make substantial structural changes in the energy and power sector. Unfortunately, few of our current leaders - political or business - have seen any advantages for themselves in promoting a revolution in the way we treat the planet. Given that change is in the interest of the people and the planet and not necessarily of Big Business, it is going to take the will of millions of us around the globe to force those in power to create the political infrastructure for change. We are going to need an international movement of honest men and women that encompasses environmental organizations, trade unions, development organizations and many others who haven’t actively thought about how the environment touches all of our lives. 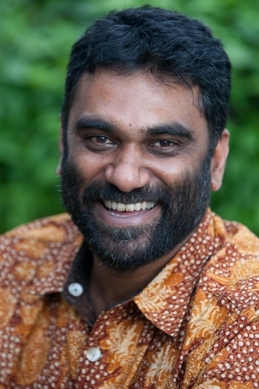 Kumi Naidoo is the Executive Director of Greenpeace International. He began his career as an activist as a youth leader in South Africa’s battle against Apartheid. He then became founding executive director of the South African National NGO Coalition (SANGOCO), before heading CIVICUS: World Alliance for Citizen Participation, from 1998 to 2008. He was the founding Chair of the Global Call to Action Against Poverty (GCAP), served as Chair of the civil society alliance ‘Global Campaign for Climate Action’ (GCCA) of which Greenpeace was a founding member, and also served as a board member of the Association for Women’s Rights in Development.